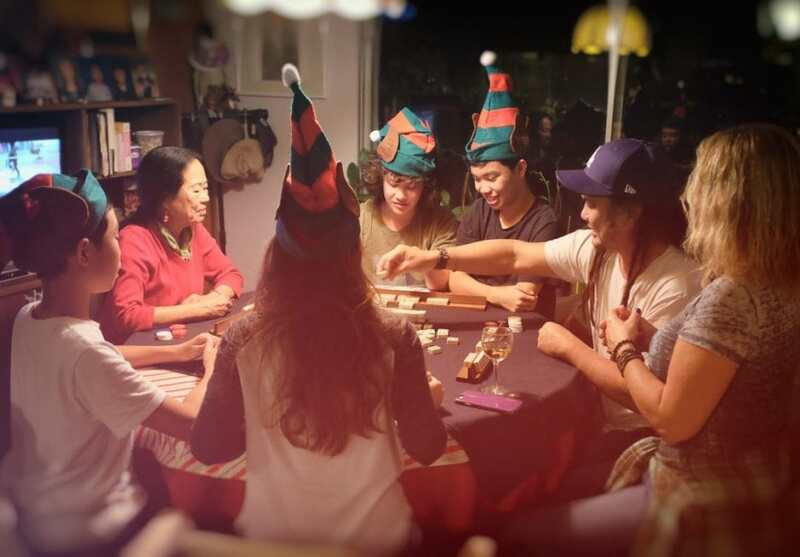 Tonight’s photo is of a tradition we have had in our family since we were kids – Mahjong. The tradition started probably back in the early 80s when my grandparents would visit us over the Christmas and summer holidays, and we learned how to play the game. We’d often play late into the night and had such a great time! These days, my kids and their cousins are all joining in on the tradition and it is a ton of fun. I have to admit that the game is a lot slower because the kids pair up and so there is a lot of deliberation and discussion before each play so each game takes a while to play and we don’t get to play as many before it gets late. As I may have mentioned before, our family plays the game with some strange rules, probably to make it easier to learn for us when we were kids, so if I ever play Mahjong with other people, I have to adjust a bit. And our family uses poker chips to keep score, which of course is not normal. I’d love to learn how to play with traditional counters someday.